Across history and cultures and many marketing era, courage has been regarded as a great virtue because it helps salespeople face their challenges, with an ultimate goal of helping people to change their behavior especially in the course of marketing (Miller, 2000; Sherman, 2005). Courage is an important aspect of positive psychology that allows one to overcome personal limitations and pursue a full life and go beyond what any business can do (Diener, 2012). Being a courageous person is what maximizes one’s chance to grow and develop throughout one’s life in business marketing (Seligman, 2011). Courage is not a matter of feeling no fear. Courage is the strength in facing one’s destructive habits in decision making. For example, the courage of an addict overcoming his or her addiction or the person abused as a child overcoming deep psychological traumas to become a loving and productive adult. Or in marketing, making rough decisions in order to make some changes. An accumulation of scholarly works defines courage in terms of features. In combination, these features satisfy the definition of courage and can be apply to business marketing. Achieving a meaningful goal – Courage is the capacity to pursue personally meaningful goals in the face of fear (Pury and Lopez, 2010). In defining the good life, Aristotle wrote that the highest of all human goods is the realization of our own true potential. Pursuing a meaning purpose may involve stress and pain in the short run but over a long run brings meaning (e.g., raising children, seeking personal growth, training for a marathon). Pursing a meaning purpose also translate into better health and longer lives. People with a sense of purpose feel less anxiety and stress. (Hagerty, 2016). Being Authentic – Authenticity is commonly accepted as suggesting genuineness, originality, perhaps uniqueness and honesty, and held in contrast to imitation, or fakeness. Making authentic choices without excuses and working through existential anxiety is psychological courage in action. Courageous people are willing to face unpleasant truths about themselves without getting defensive or trying to rationalize them away. Rollo May viewed the authentic life as one marked by an absence of fear. Diminished anxiety and fear may be related to the authentic choice of what is truly important to person. 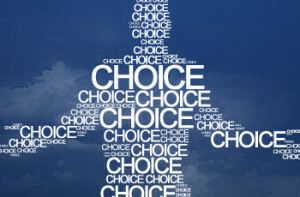 Free choice – An act is courageous if the action was freely chosen (May1981). It is the capacity to exercise control over one’s life. Courage is the virtue that allows people to express fully their unique human freedom. This entry was posted in B2B Marketing, B2B sales Qualifications and tagged b2b marketing on April 12, 2016 by koalifiedadmin.